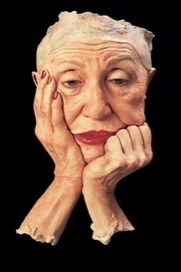 Marc Sijan is an artist based in Milwaukee who creates naturalistic, ultra-realistic human forms. He graduated in 1968 from the University of Wisconsin and also has a Master of Science degree in Art. Sijan has won acclaim across the country with over 40 solo exhibitions. Representing the human form is one of the first forms of artwork that man created. Sijan says he gets inspiration from Michelangelo's David and Greek statues. However, his work doesn't focus on creating ideal forms, but rather the reality of every goose-pimple, mole, and irregularity of a real human form. Sijan says he differs from his fellow human sculptor artists, such as Duane Hanson and John DeAndrea, by trying to freeze capture movement of a passive figure. Marc Sijan hopes that his figures hold a kind of spiritual nature to them as well, by seeming to have something going on beneath the form that makes them more realistic and celebrates the individual. What is so great about Marc Sijan's work is that they truly appear to be an individual caught in mid-movement, mid-breath. They seem as if they could come alive. 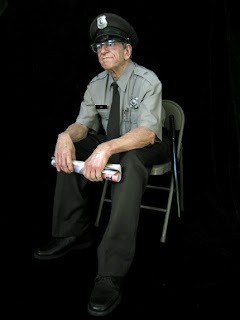 In fact, the first work you see when you walk into the CAC's exhibition is the Seated Security Gaurd. I literally jumped back in surprise. Even though he obviously had a little ring of markers to keep people from getting to close to him. Each work holds the personality and emotion of the person at that moment in time. One of the interesting stories that Marc Sijan tells is of the Standing Man. The Standing Man, who stands much shorter than I, carried enormous weight of his own girth. 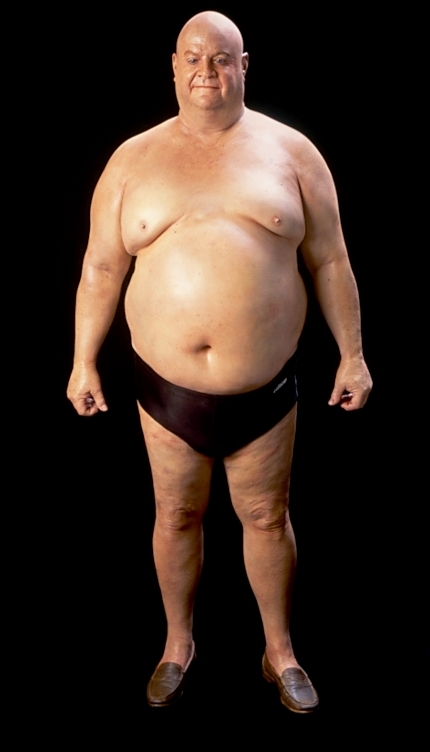 Apparently when the man who was the model for this piece saw himself, he immediately went out to get Gastric Bypass Surgery. My favorite works that were displayed were Hand on Shoulder (because I was able to completely encircle the full form 3D sculpture) and Hands on Face (which interested me due to the secrecy and mystery of her pose). All of these images are from his website, for more info and art by Marc Sijan go here.